Access to safe drinking water is of such high importance that it is specifically addressed under the Sustainable Development Goals: Ensure availability and sustainable management of water and sanitation for all. While access to safe drinking water has improved in recent years, reaching more than 90% of the world population, the cost of obtaining it still becomes a barrier for many low-income communities. In countries like Indonesia, where tap water is not readily drinkable, families typically boil water or buy refill water to supply their drinking needs. This ultimately leads to higher recurring expenses compared to countries where tap water is safe for drinking. In an effort to make drinkable water more affordable to low-income communities around the world, Folia Water — a New York-based start-up company — has developed an affordable, nanosilver-coated paper filter called Folia Filters. The paper filters are able to purify up to 50 liters of water from sources such as rainwater and tap water into safe drinking water. Kopernik has partnered with Folia to conduct initial consumer and retail engagement research project to get a better understanding of drinking water habits in low-income neighborhoods in Bandung, Jakarta, and Denpasar. In late July 2018, we scoured through high-density areas and slum residences to conduct interviews and focus group discussions with household residents, warung owners, and retail water sellers. We’ve gained valuable insights on how urban Indonesians access their drinking water, and how Folia Filters could fit in this consumer journey. 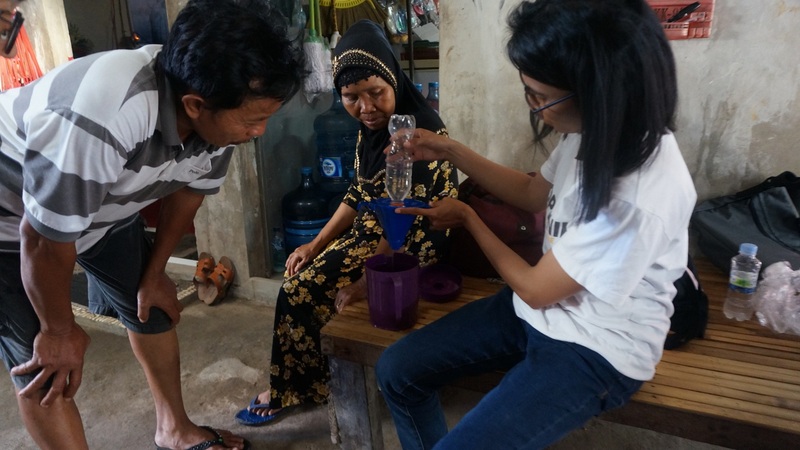 Findings from this research project will serve as a starting point towards the next iteration of Folia Filters tailored to suit the drinking water needs of low-income communities in Indonesia. Moving forward, Kopernik and Folia plan to continue this partnership through further consumer research and pilot sales.